True intellectual growth requires going beyond a command of facts or figures. It requires reflecting and questioning. Synthesizing concepts. Developing independent thought and intellectual courage. 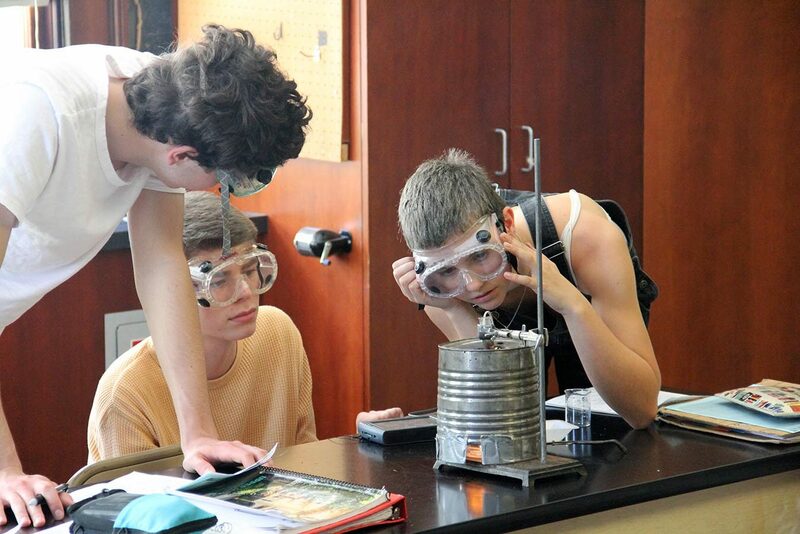 At the Northwest School, students are challenged with an exciting college-preparatory academic experience rooted in vigorous study and exploration. With a liberal arts curriculum founded in integrated Humanities, students graduate with a historical, scientific, artistic and global perspective—prepared for a fulfilling life, both in college and beyond. Self-agency is a big focus here: asking questions, taking control of your education, questioning the teacher and the procedure. We want the learner who digs in and asks why is that true? Why am I learning that? Tenth grade students study evolution through scientific, sociological, and artistic lenses. During an integrated unit in Humanities and biology, students examine the work of 17th century nature artist Maria Merian, as well as anatomists Linnaeus, Darwin, and Wallace. They study prevailing societal and political attitudes of the times. 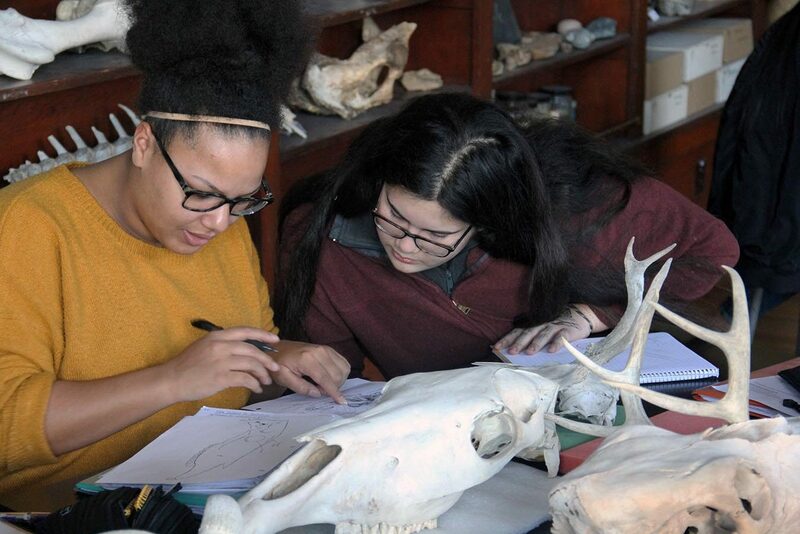 Using the power of observation, students diagram bones of mammalian skulls and demonstrate concrete examples of evolution. 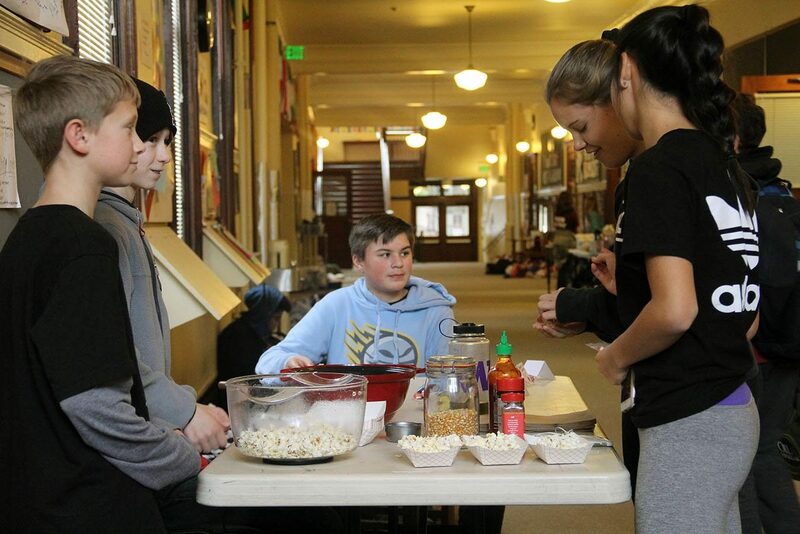 Sixth grade students learn economics by creating a small business. Sixth graders in Erica Bergamini’s class receive a $15 micro-loan to start a business of their own design. Through that business, the students must generate enough money to pay back the loan with a ten percent interest rate. Examples of products have included homemade slime, handbags, birdhouses, and light-bulb terrariums. The students use Excel to track costs and profits to ensure they pay back loans with the correct amount. The micro-loan project also doubles as a service project: Students combine their profits and donate the sum to organizations such as Goodwill, FareStart, and Ventures. Twelfth graders discover their impact on the environment by connecting chemistry to their everyday lives. Students conduct carbon footprint analyses of their own homes, gathering data on transportation, electricity, and food. They then compare their home data with the average natural gas consumption of homes with Puget Sound Energy. Students then learn about fuel sources by burning different natural gases and measuring which gases generate energy the most efficiently.